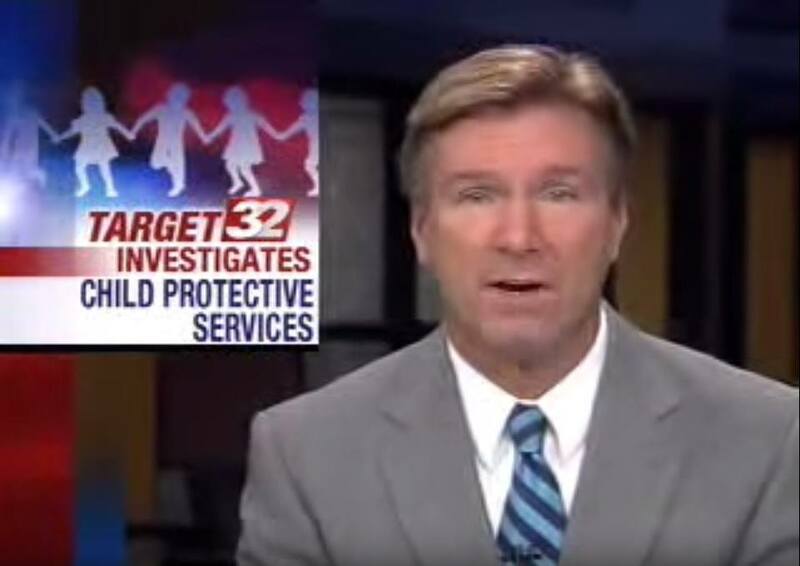 Health Impact News and MedicalKidnap.com has previously reported how the FBI saying that Kentucky is “the most corrupt state in the country,” and urged families to share their stories involving alleged corruption in their dealings with Child Protective Services, or the Department for Community Based Services (DCBS), as it is known in Kentucky. It appears that corruption in Kentucky continues to run deep and wide. The government many times is far too involved with families. I live in Kentucky and never had any issue with the DCBS. I will say I believe it is probably a stretch to say Kentucky is worse than any place else. My reasoning is based on whether or not you have fully researched other States, in order to make such a broad claim. I do not deny that there are issues, but there are issues with every single government agency. No Kentucky is not #1 for corruption where CPS is involved. However Kentucky does have one thing that a lot of the other states don’t have. It appears Kentucky has at least some truth in their media. The media here in Oklahoma understands they cannot report on stories that makes the state look bad. They don’t mind the corruption they just don’t want it exposed. Oklahoma has been corrupt for 112 years some of which will be discussed this evening in a broadcast with Randy Scott Davis and myself as his guest. I am just one story among many unfortunately. Too many children were illegally taken and because of the direct actions of DHS they were abused, or have now died. The Innocent parents were never even apologized to. All anybody ever wanted was for you to go away and shut your mouth and pretend it never happened because it leaves a blackeye on the state of Oklahoma to discuss it. They say little things like it was an unfortunate mistake we should just move on we should get past it stupid stuff like that. Things they wouldn’t be able to say if it was their child but we’re not supposed to think about that. People can say that what I say is not true but just ask yourself this one question. If what I’m saying is not true then why am I still waiting to be told who is responsible for the death of my child after 20 years of asking? I have a copy of the law that says I’m entitled to know. So how come I can’t find a senator, or a state representative or any member of the legislature or any governor in this state for the last 20 years to obey the law. If there was never really anything to hide then why are they still hiding it? I had my children taken from me twice back in 2002 and 2003 due to false allegations made by my ex and his wife and also my ex from another state. The 2nd time, they gave custody of my son to my ex husband and his wife and they are not even biologically related to him. I could only have supervised visits of him and my daughter for a year. My lawyer sued social services unsuccessfully. He told me at the time that my case was affecting his other cases and he was not going to fall on a sword for me. He is not the State's Attorney. I have been a foster parent in Illinois and a substitute teacher in Kentucky since this substantiated report. It was not showing up on my record until recently I suppose. I currently have custody of my 6-year old grandson and my 2-year old grandson. My 1-year old grandson is in foster care on the other side of Kentucky. He has been with DCBS now since he was 4 days old. I fear they are going to terminate the mother's parental rights. I want my grandson, but they will not even consider me even though social services here recommended I have custody of my 2-year old grandson. I am not sure what to do. They corruption within the system and the law disgusts me. My youngest daughter was even sodomized while in foster care yet the foster parents are still fostering to this day. The children are the ones who suffer most. I know this is 2 years late. BUT OH MY GOSH. Michelle Isham! She's the worker that took my daughter away when she was 7 for a month because she missed 8 days of school due to being sick. I was very young and honestly didn't know you had to call AND send a letter to excuse absences. She LIED in court and said that her teacher said she was dirty and unkempt. I had to get the teacher to testify that she never said that! She also REFUSED to give my daughter to her grandma for 3 weeks and instead let her languish with a lady who slapped her in the face 4 times. Oh my Lord, I hate her so much and my daughter is 16 and STILL talks about that worker to this day and is traumatized. I hope she burns in Hell. How many families has she abused who didn't have the money to take her to court? I'm one of them. it is not just ky. wa.state is just as bad my niece was took by cps in wa. state and we live in alabama we was told to do foster parenting classes to become foster parents we did then we was finger printed and passed that we had 3 homes studies done passed them i flew to wa. 2 times to visit the child and everything was great we was told by cps she would be placed with us and then the day it went to court the judge placed a order to let the foster family she was with to adopted her just because they was attacked to her it didnt matter that we was the childs family and family is suppost to come first but not in wa. please help me the cabinet for help came and took my 2 week old daughter. I'm in Lexington Kentucky. For your security, we do not approve personal emails or phone numbers to be published on our page. We have also created a special "Ky Group" in the Community: https://community.healthimpactnews.com/groups/ky-b... -for families share stories, resources, encouragement, prayer, and hopefully activate to create local changes. My name is Scott and my Children's mother and myself have been going through the corrupt system in Larue Co, Ky. Hodgenville,city. 5 yrs.. They got all kinds of false allegations against both of us.. From abuse,to sexually abused.. I have four other daughters now ,, my oldest is 18.. Wrong person,,sorry for their false statments on court record, and when they first took my 1 yr old in Jan 2011.. I was not present ,, But court video will prove,,they have not a right to have had my daughter this long.. Or my other two,which are 3yrs old boy and new born daughter ,,both taken because of the first case on my one year old..Destinee is soon to be 6in November.. Cayden is 3 and Lyndseyis about 6 months..both of them ,, taken from us at hospital,,, for they had NO RIGHT!!! Friends, I just joined CAPRA as one of the lead plaintiffs in an upcoming landmark federal class action lawsuit against all 50 States and the Federal Government, because I qualify as: (1) a biological parent whose child custody was unconstitutionally removed without due process; and, (2) I have been directly impacted by that during the last four years, i.e., within the statute of limitations. This class action is on behalf of *both* types of "family court" -- for wrongful victims of divorce-and-similar-with-kids *and* for wrongful victims of child protection services -- and includes suing on behalf of ANY parent affected by either "family court" type. It's totally free to join, and the federal court relief being demanded includes the full restoral of my child custody rights under law, plus a nice share of the large amount in civil damages expected. Although no amount of money could ever replace the lost time, WE MUST FIGHT BACK! Plus, check out their power-packed Legal Tips page for all parents fighting family court. EASY SOLUTION... DO NOT FILE FOR A BIRTH CERTIFICATE! IN DOING SO, YOU ARE SURRENDERING TITLE OWNERSHIP OF YOUR BIOLOGICAL PROPERTY, AND HANDING IT OVER TO A FASCIST CORPORATION CALLED THE STATE. BIRTH CERTIFICATES ARE FOR SLAVES! WHY DO YOU THINK THERE IS A CUSIP NUMBER ON IT? WHY DO YOU THINK IT'S PRINTED ON SECURITIES PAPER? The American people have been dumbed down to the point of redundancy. Keep doing what you're told, and by all means, stay a slave, but please do not persecute me. You can not force your state god on me. Word to CPS: you can't take mine... they don't belong to you! Stop registering your children. When you give them a birth certificate (chattel paper) you give ownership of your biological property to the fascist state god. My children are FREE, and the nanny state can't take them. "Registration" is for idiots. @lynelle said: > @lynelle said: > > @Kelly-Gordon said: > > > Adminlf said: > > > > Health Impact News and MedicalKidnap.com has previously reported how the FBI saying that Kentucky is “the most corrupt state in the country,” and urged families to share their stories involving alleged corruption in their dealings with Child Protective Services, or the Department for Community Based Services (DCBS), as it is known in Kentucky. It appears that corruption in Kentucky continues to run deep and wide. > > > > > > I just had a run in with DCBS here on 4/1/2016 at 445 p.m. with Karen of the Somerset, KY. She stated that she received a complaint that I had hit my son. I asked I told her no I did not hit him. Even my son came to the door and stated I did not hit him. Karen then insisted to have access to my house to look into my refrigerator. I am thinking to myself this does not make sense the complaint was about me hitting my child not child neglect. I asked if she had a warrant based on the 4th amendment to search my home in case you people did not know the 4th amendment The right of the people to be secure in their persons, houses, papers, and effects, against unreasonable searches and seizures, shall not be violated, and no Warrants shall issue, but upon probable cause, supported by Oath or affirmation, and particularly describing the place to be searched, and the persons or things to be seized. The key words unreasonable searches and seizures. I told her to leave or I would call the Sheriffs Department. She then proceeded to call The Somerset Police Department then Officer Flynn try to gain access he threatened me with a warrant these pukes always abuse their power around here. I advised him that he was being filmed and he said it was okay they continued to try to harass me and I am glad I caught it all on film. They like to provoke anger and confrontation glad I have it all on tape. Can't wait to hand it over to someone that can put these people in there place. > > > > @Kelly, If you would like us to consider your story for publication, you can share your story with us here: https://medicalkidnap.com/contactus/. > > @Kelly-Gordon, Please consider sharing your story in our new Medical Kidnap Community private group "Ky Bluegrass Families United Against DCBS Corruption." > > You will need to create a user account here: https://community.healthimpactnews.com/register, and then verify it via email. Then look for the KY group within the Medical Kidnap Community tab (see Groups) and request to join so you can share your stories. You can find other users and add "friends" and Chat securely, and create and join Private Groups in a secure environment. Share stories, resources, encouragement, prayer, and activate to create local changes. > > Learn more about our Community here: http://healthimpactnews.com/2016/health-impact-news-launches-new-social-media-platform/ @Kelly-Gordon, I sent you a "friend" request here. Look to the right sidebar to accept under Friends (pending), or in the "bell" Notifications on the top Navigation bar.